We all witnessed the BCS Championship last week… so we’re all aware of two things: The Crimson Tide rolled through Notre Dame and AJ McCarron’s girlfriend is a dignified smokeshow. While no one is going to argue Brent Musburger about Miss Alabama, a computer system used to determine the BCS standings still ranks the Irish at the top. If you’re unfamiliar with the process (click here if that’s you), the NCAA uses six computer systems to calculate the 25 BCS rankings without factoring in the margin of victory. 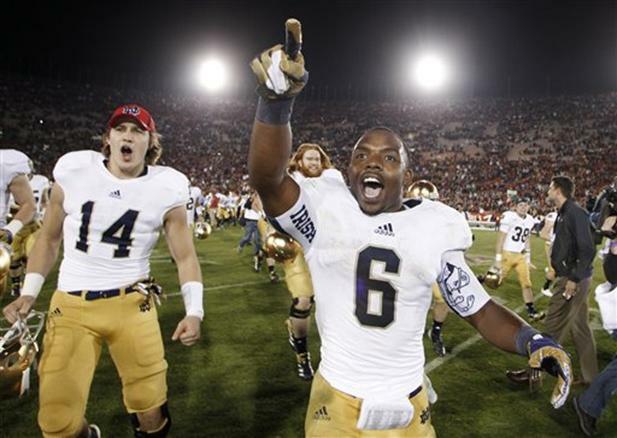 While Alabama did beat more ranked teams than Notre Dame, the luck of the Irish was in the strength of their schedule. I suppose this is just one more reason to hate the Bowl Championship Series for it’s last remaining season before we all start bitching about how unfair the four-team playoff is in 2014. Until then, at least we have Katherine Webb, who by the way, will appear in Sports Illustrated’s swimsuit issue to be released on February 11th. Click here to check out Colley’s Bias Free College Football Rankings.